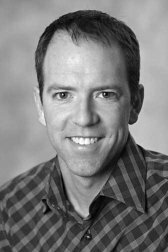 VocationVillage.com interviews Seattle Realtor Brad Hinckley. What are the primary responsibilities of a Realtor career? The primary responsibility is to provide representation and professional advice to one’s clients in their real estate sales transactions, to enable them to move successfully through the process of buying or selling residential real estate, and to always keep their best interests first and foremost in your mind. You will become their trusted advisor, in whom they will place considerable trust as long as you earn it. You often will become much more than just a Realtor. Often, you’ll feel more like a psychologist, since you will become involved in the personalities and issues facing people in their daily lives. A real estate sales transaction rarely occurs without some element of drama. The thing about working in real estate sales is that there really is no “typical” day. For those who crave routine in their work life, then residential real estate sales is not for you. One might spend an entire day prospecting for new business, or showing homes, or analyzing sales data, or preparing a new listing for market, or facilitating the closing of a transaction. More commonly, and as your business matures, you end up spending time juggling a number of different clients at the same time. Time management becomes critical. The challenge is to determine where best to spend your time, as there are certainly many ways in which to spend it. What do you like best about your Realtor career? I love the control that I generally have over my time, in comparison to how it was when I was in corporate America. This does not mean that I have an abundance of free time as a Realtor. But I do like the fact that I am not 100% away from my family life during the workday. I am able to juggle work and family life in a way that enables me to see my children more often than I otherwise would. This is the greatest benefit to me by far. I work just as hard and as many hours as I did in corporate America. But now the hours feel more under my own control and the days are more personally satisfying. What are the most challenging things about selling real estate? The most challenging part is handling weekends. It simply is not realistic to think you will not need to work on weekends in this field. Quite often, weekends are when the most activity will happen. Anyone considering real estate sales as a career should give considerable thought to how this pressure to work on weekends could impact one’s spouse and family. Every family’s situation is different, so often it can be worked out quite well. However, other times it can become a source of stress and anxiety. Clients will expect that you be there for them on weekends, as that is often the time that they have available on which to focus on their residential real estate matters. What was your professional background before you became a Realtor? After graduating from college I worked at Arthur Andersen, the former multinational accounting firm, as an auditor and then as a tax accountant, and I earned a CPA during that time. Then, after attending business school and earning an MBA at Stanford, I held financial executive roles at several different high-tech companies, most notably an Internet startup called NBC Internet, which went public in 1998. While my work during these years was quite numbers-oriented, there was still a great deal of interpersonal and communications skills required in order to succeed. How did you transition into a Realtor career from being a CPA and financial executive? I joined as a partner with another agent who had already been working in the business for about 4 years. This was a considerable jump start for me, as I was thrown in to real-life transactions from day one. The best way by far to succeed, in my opinion, is to learn by doing. Real estate sales is not rocket science, but there is a considerable amount to know and to manage. Your clients will take their real estate matters very seriously, and they will rely upon you to be their guide and their confidante. Joining with a partner when one is brand new in the profession is fairly rare. If one joins on their own, which is the more traditional path, I suggest offering your services to some of the experienced agents in the office. Ask if you can hold their open houses, organize their files, do marketing mailings, help stage a property, anything in the beginning. You want to learn by doing, and the best way is to jump right in, even in tasks that might feel too low level at first. It will pay off if you do this, as experienced agents will teach you so much more than you could know by just going it alone and hoping to score some new business. Then, as time goes on, you don’t have to replicate exactly what the experienced agents do. In fact, you should carve out your own identity, your own business model. But it’s so important to jump right in and learn, starting on day one. It’s easy to waste an awful lot of time in the beginning. I earned a BA in Economics and an MBA at Stanford University. I also hold a CPA license. What skills are most important to succeed in a Realtor career? Time management. By that I mean more than just organizing oneself so as to accomplish the needed tasks in a day. I mean that, plus knowing where to spend your time and where not to spend your time. If you waste your time in real estate sales, you might as well have just been at the beach having fun. You do not receive any benefit for “face time” or being in the office and making your boss feel that you are doing a good job. That concept simply does not exist in real estate sales. Given the slump in the real estate market, would you advise people to start a Realtor career now or wait until the market improves? Starting in real estate sales during a slow period will certainly have its challenges. The disadvantage in doing this is that it could be a more lengthy period of time until you receive your first commission check, as there are fewer buyers and sellers during the slow period. The advantage to starting during a slow period is that there will be fewer other agents starting at the same time. In a boom period, there are literally hundreds of other new agents starting at the same time as you, so that can be discouraging right from the beginning. Are there any commonly held misperceptions about a Realtor career that you would like to clarify? Yes. Many people entirely over-estimate the time a Realtor spends doing showings of houses. While this is obviously an important component of the job when working as a buyer’s agent, it is actually a much smaller percentage of time than one would think. There is much more that goes in the job than just doing showings. The other common misperception is that Realtors are uneducated, greedy salespeople. The reality is that there are thousands of Realtors, some of whom are quite highly educated, professional and skilled in their work, and some of whom are poorly trained and unethical. Given that the “barriers to entry” into the field of real estate sales is rather low (i.e. the license exam is not difficult and no college education is required), you will see all varieties of people in the profession. It’s more of a “survival of the fittest” career choice. What is the income range for persons in real estate sales? The income levels fluctuate considerably from person to person, and from year to year. Realtor make anywhere from nothing at all to several hundred thousand dollars per year. The most important thing to keep in mind is that there will be ups and downs, so having savings in the bank that you can fall back on in a slow period is essential. Similarly, when you have a particularly good month, be sure to save a portion of it for savings, as well as for your income taxes. I always have a difficult time with this question. I am currently really enjoying real estate, so my plan is to continue to build my business and make each year better than the previous one financially and to continue to build a primarily referral-based business. At a certain point, my business partner and I will need to bring on an assistant, but we have been hesitant to take on the additional cost of doing that just yet. As there will always be ups and downs in the real estate market, we would rather hold off on increasing our cost base until as long as possible. Any other comments or questions that you wished I had asked? I am happy to speak directly with anyone who is interested in pursuing a career in residential real estate sales. I can be reached at 206-330-1388 or bradh@windermere.com. If you are considering hiring a top-notch Seattle Realtor, please visit Brad’s website at Brad Hinckley, Seattle Realtor.